The position consists of a four course/three prep teaching load each semester, university committee work, academic advising, academic research, and contributions to the profession; however, the emphasis is strongly placed on effective teaching. The successful candidate will teach seated and online undergraduate and graduate courses in criminal justice, forensic psychology, psychology, and sociology within Tiffin University's School of Criminal Justice and Social Sciences' The successful candidate may be required to supervise masters theses. Maintain a professional and collegial attitude at all times towards co-workers, internal and external customers, representing Tiffin University, its programs, policies and procedures in a positive and professional manner. Maintain effective working relationships to ensure institution-wide teamwork. Attend provided/necessary trainings and other meetings to support effectiveness within the position as required. Consistently demonstrate high standards of integrity by supporting Tiffin University mission, vision and values and adhering to institutional policies. Maintain high regard for student privacy in accordance with the FERPA privacy policies and procedures. Doctoral degree in forensic psychology, psychology, or a closely related discipline. Candidates in final stages of the dissertation process can apply. Previous professional experience in the field is desired. Evidence of effective teaching experience is preferred. Some Saturday teaching is required for graduate courses. Ability to sit and/or stand periodically for long periods. Tiffin University is an Equal Opportunity Employer. 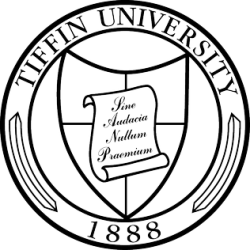 Tiffin University offers a generous compensation and benefits package, as well as the opportunity to work for a leader in the field of education. Some of our key benefits include: medical and dental coverage, company-paid life and disability insurance, retirement plan with employer contribution, multiple flexible spending accounts (FSA), tuition reimbursement, professional development, and regular employee appreciation events. We are strongly committed to enhancing equity, inclusion, and diversity. These values are central to our values. Candidates who have worked with a diverse range of faculty, staff, and students and who can contribute to our mission of inclusivity are encouraged to identify their experiences and interests.